At Valleyfield Honda, we'll pay for your trip! 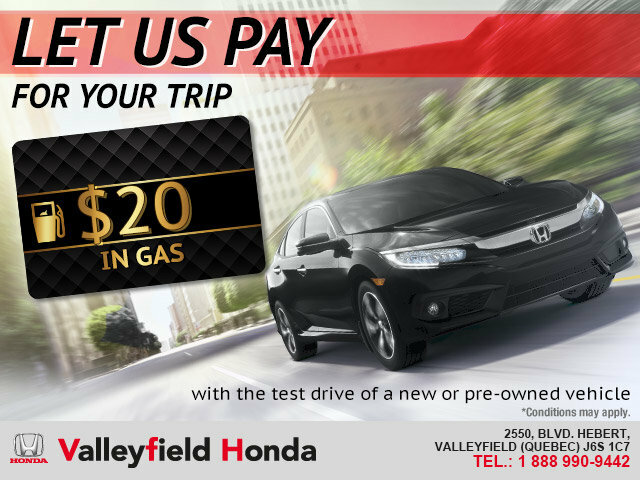 When you visit Valleyfield Honda to test drive a new or pre-owned vehicle, you'll get a $20 gas card to help cover the cost of your trip! 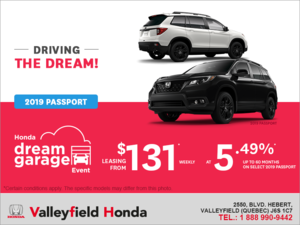 Some conditions may apply. 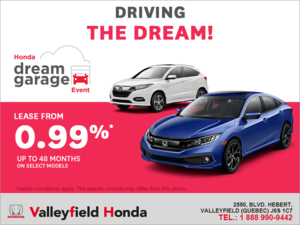 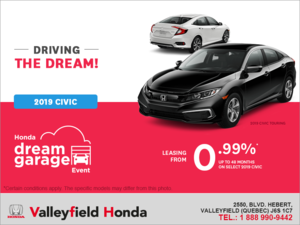 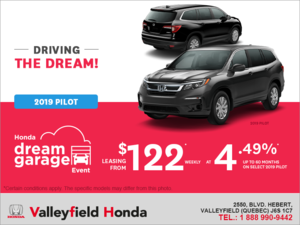 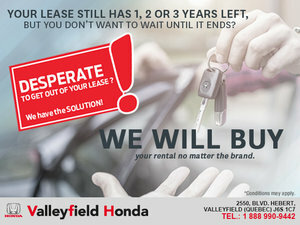 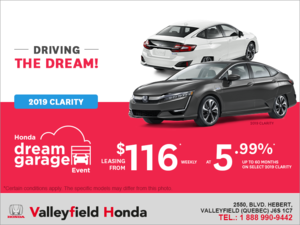 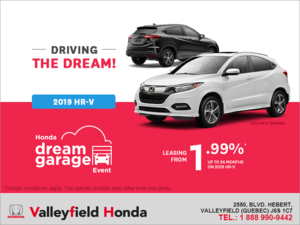 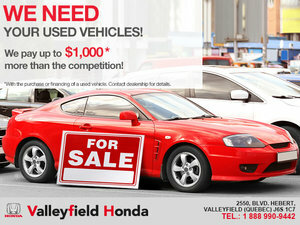 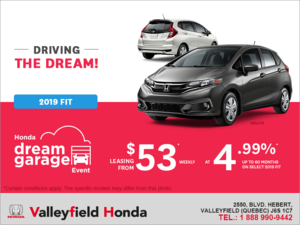 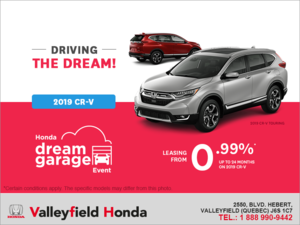 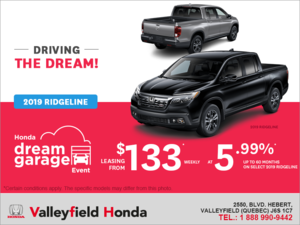 For more information about this and other offers, contact us today at Valleyfield Honda!